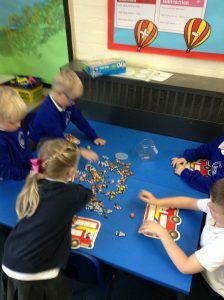 Please see the attachment for our Autumn term 1 plans. 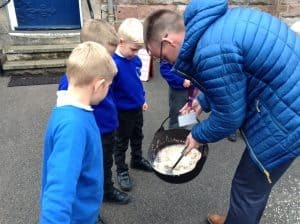 We found a mysterious pot on the playground, it was full of porridge. 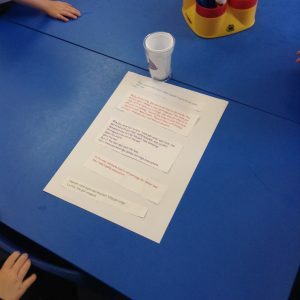 The children learnt ‘The Magic Porridge Pot’ story and had to put it back together in the correct order. 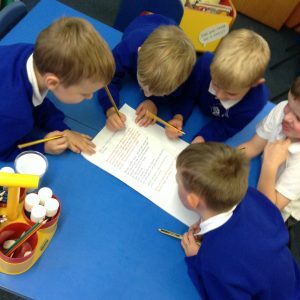 they also highlighted all of the full stops and capital letters. 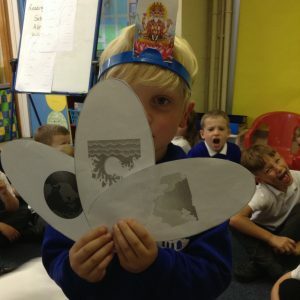 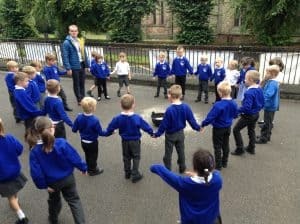 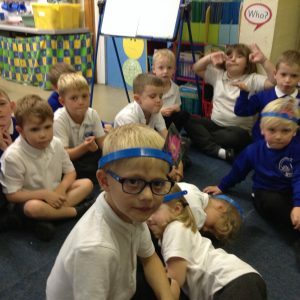 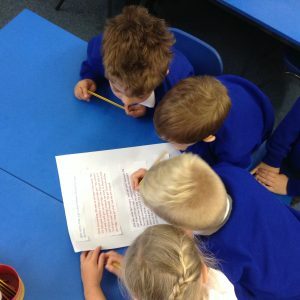 The children learnt the Hindu creation story by acting it out and answering questions as a group. 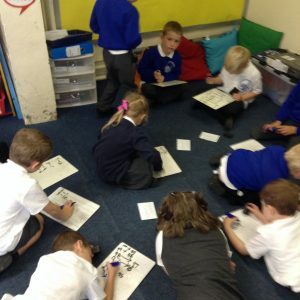 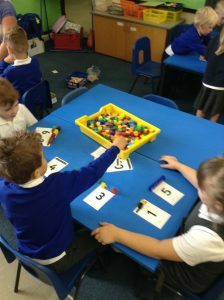 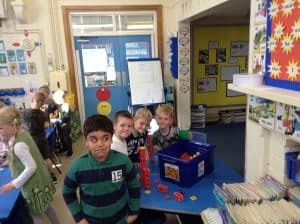 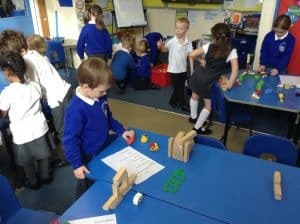 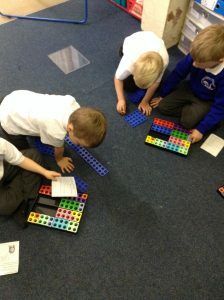 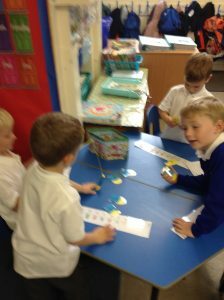 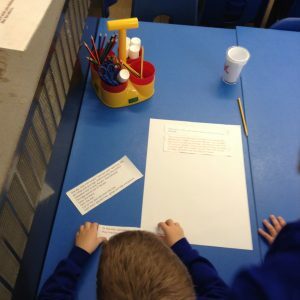 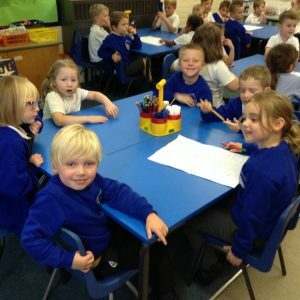 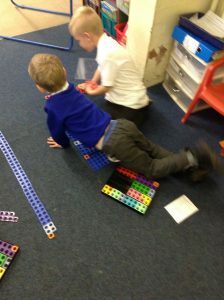 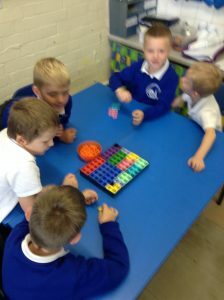 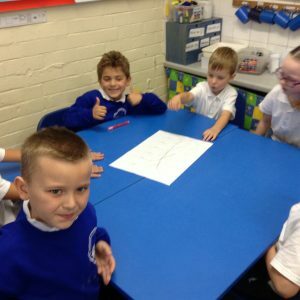 The children loved our practical Maths lesson! 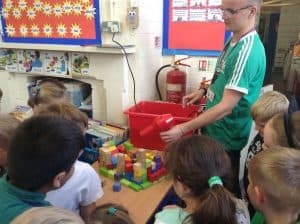 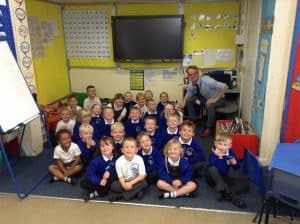 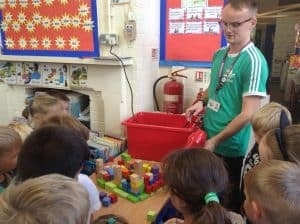 We joined with Mrs Higtons class to learn about natural disasters and the work that Christian Aid does to help rebuild houses. 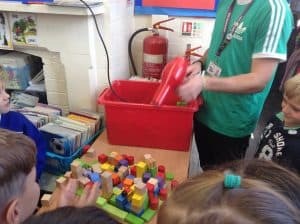 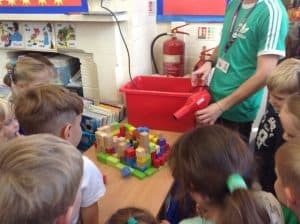 The children enjoyed making their own houses and testing them against a hair dryer! 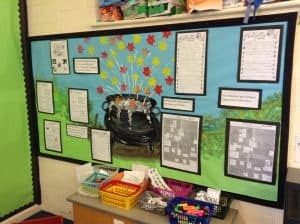 Our ‘Magic Porridge Pot’ display. 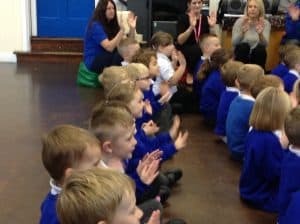 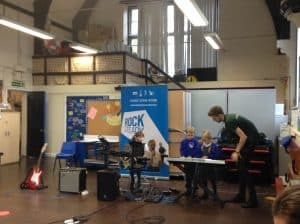 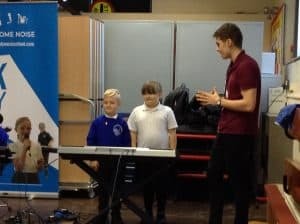 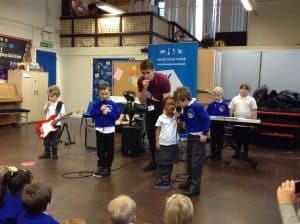 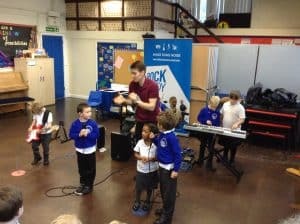 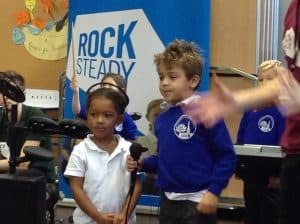 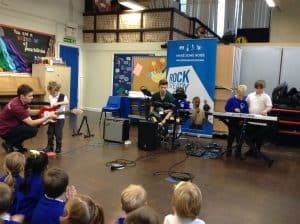 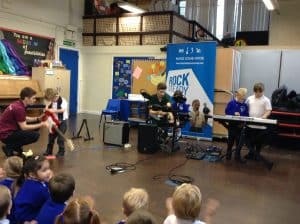 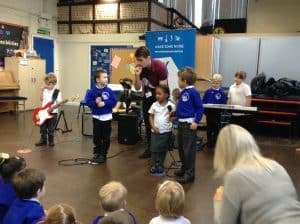 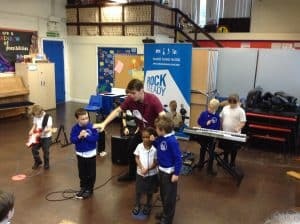 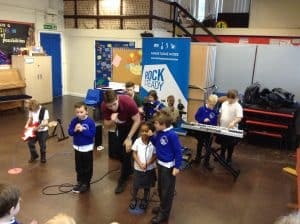 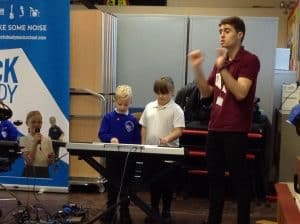 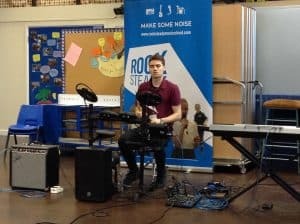 The children loved the Rocksteady music workshop on Tuesday morning. 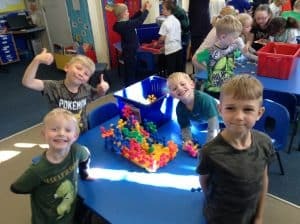 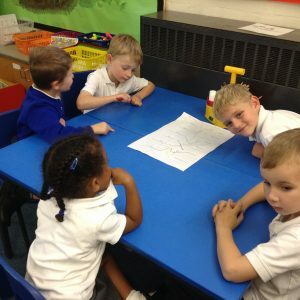 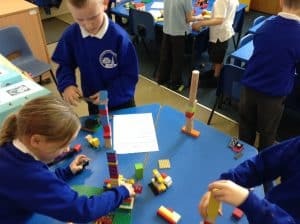 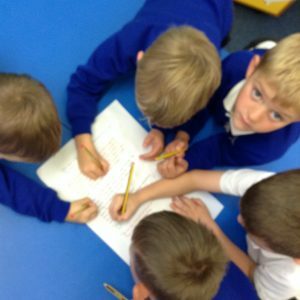 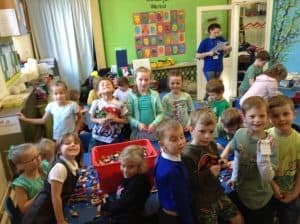 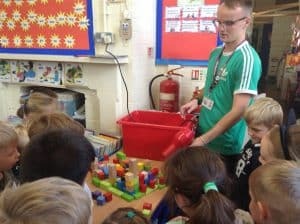 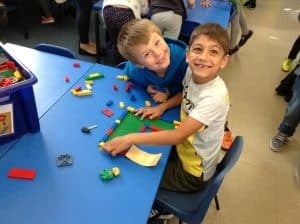 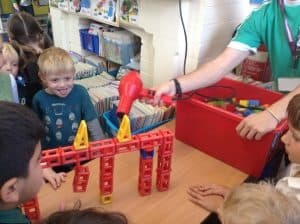 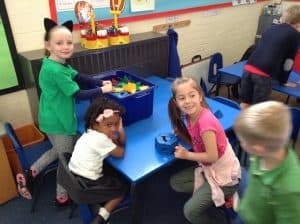 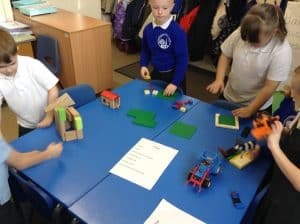 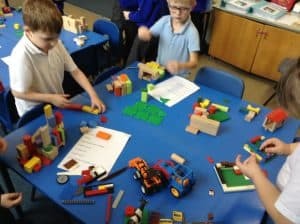 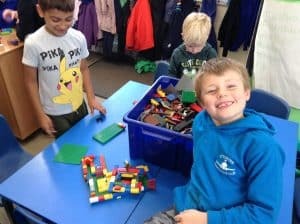 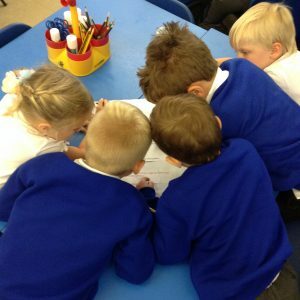 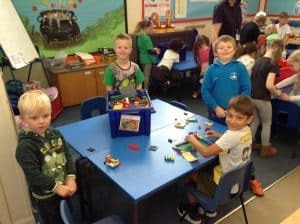 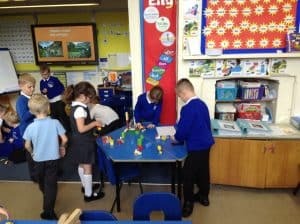 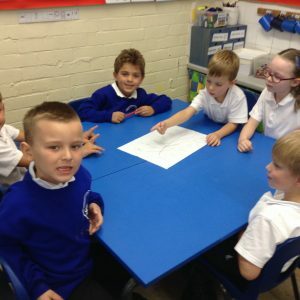 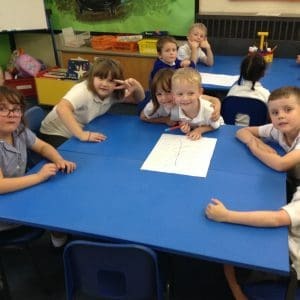 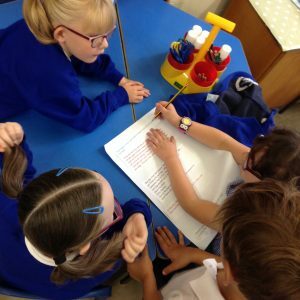 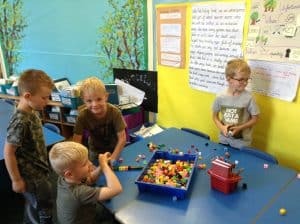 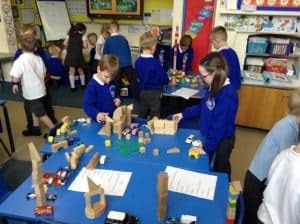 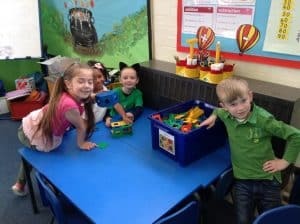 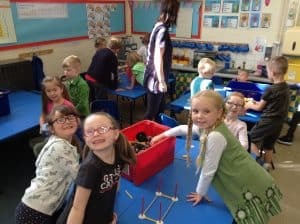 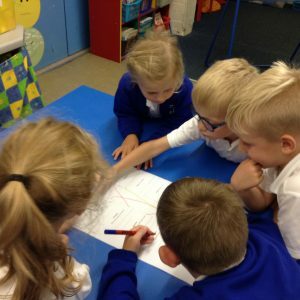 After being introduced to cities, towns and villages, the children worked together as teams to build their own.